Yesterday a good friend of mine invited us at her house to spend Thanksgiving dinner with her family. The kids were too excited to eat anything but they had a blast while we tried to enjoy some delicious Thanksgiving foods and hold grown-up conversations. 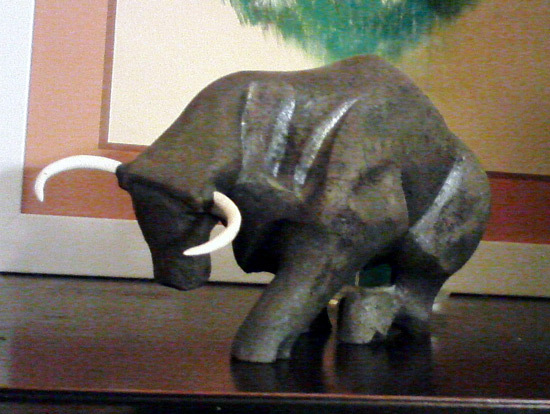 My friend knows about my blog but she never happened to mention she’s got a bull sculpture sitting right on top of her piano! I bet she sees it every day. 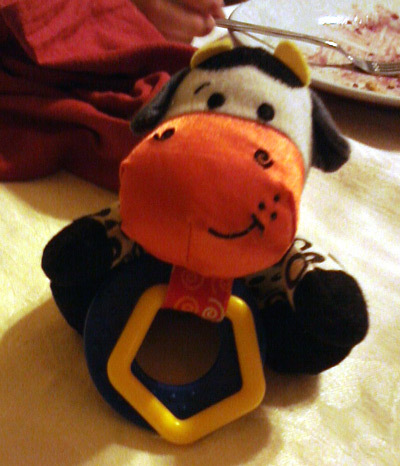 To top it all, my son managed to find this baby toy cow and plopped it on the dining table for me to take a picture of. How kind of him. This morning we avoided the Black Friday madness and instead went to IKEA to purchase a $10 easel. Yes, $10! Regular price is $15, which is a steal in the first place. This deal was so good we bought two of them, to avoid ongoing battles at home. The kids couldn’t wait to try them out as soon as we got home. First the dry erase side, then the paper roll. Next time, the chalkboard! While at IKEA, I found animal hand puppets hanging on the wall. We have a few of them at home already, but not this cow. Lovely blue eyes. 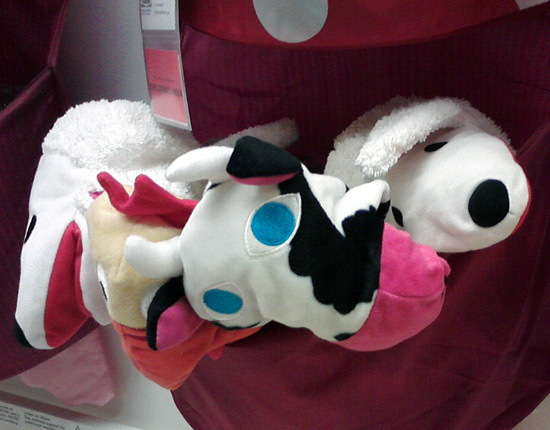 By the way, here’s the full selection of hand puppets at IKEA, if you’re interested in them. Next Post Foam cows and sticky cows, what a day! 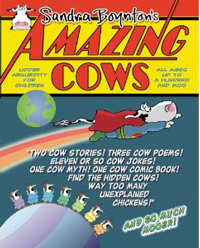 That’s a lot of cows! She actually has even more cows than that at her house but I decided to stick to two. 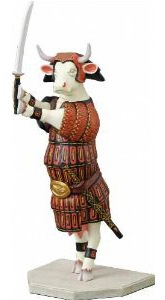 I thought her bull sculpture was quite impressive.